Marouane Fellaini’s future at Old Trafford remains in doubt as his contract at Manchester United is due to expire in little more than six months. Should the Belgian international not put pen to paper over a new deal between now and the New Year he will be free to discuss a free transfer move with a foreign club as early as January. Both Galatasaray and Besiktas in Turkey have been strongly linked with the signing of Fellaini in recent weeks. The centre midfielder had been an important player for us this season prior to his injuries that have kept him out for more than a month now. He remains a doubt for Sunday’s derby. Should we not agree a new contract with Marouane Fellaini in the coming weeks Jose Mourinho may be forced to find a replacement for next season. Michael Carrick is also out of contract in the summer and not expected to be offered a new deal. 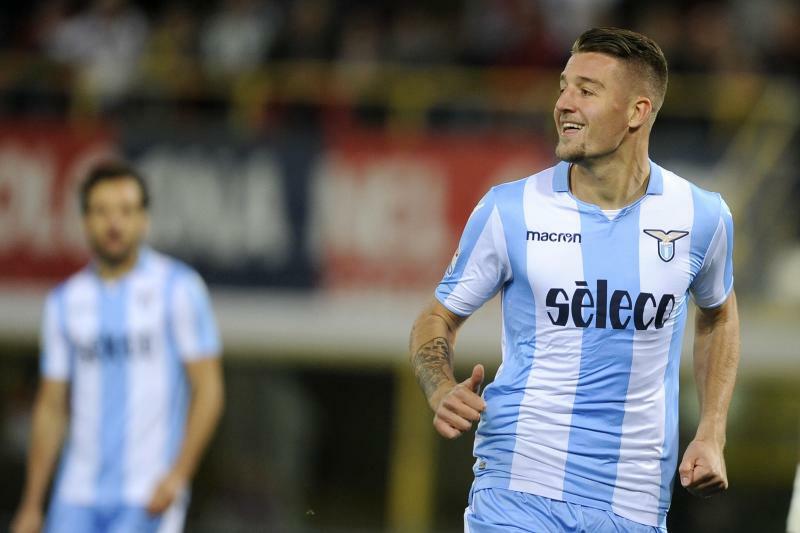 It appears we have already identified a potential replacement as Italian outlet Il Messaggero (via the Metro) have reported that we sent scouts to watch Lazio’s Sergej Milinkovic-Savic in their 2-1 win at Sampdoria on Sunday night, in which he scored the equalising goal. The report claims that our scouts were impressed by his performance at the Stadio Luigi Ferraris and that Mourinho is a massive fan of the 22-year-old. However, the Metro report that Lazio have slapped a €100 million (£88m) price tag on the centre midfielder, whilst Football Italia reported back in July that they would not accept less than €70-80m. Milinkovic-Savic is in his third season in Serie A since joining the Rome-based club from Genk in 2015. He has scored three goals in 13 league appearances already this season and has two more in four Europa League appearances (1 start). The two-time Serbian international stands at 6’3″ and is a box-to-box midfielder. Whilst he does commit a couple of fouls a game he also likes to fire in efforts on goal from deep as well as creating chances for his teammates. Previous Article← Who are Man Utd’s possible Champions League 2nd round opponents?